Kickstands up at 11am Riding to Little Switzerland, NC where we¹ll stop for drinks and snacks before riding the beautiful Blue Ridge parkway and some of the most scenic mountain roads in the south back to Mac's Speed Shop in Cornelius, NC! 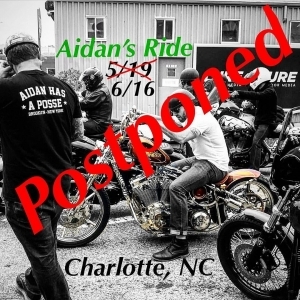 $30 / Rider, all proceeds go to the Aidan Jack Seeger Foundation. Click here to register or donate. Thank you!